The content of your blog is its life. No matter what is your purpose in blogging, you will always end up obliged to create quality contents in order to gain the approval and confidence of your readers. And because of this, you should update your blog. You should make a way in order for your readers to find new ideas from you by extracting your mind juice. 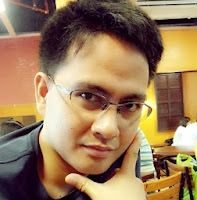 With this, I will show you some of the things that might happen if you fail to update your blog. Do not let these things happen to you because of inability to update your blog. Your blog needs update – this is the truth that we cannot deny. Writing can be tiresome sometimes and I advise that you should hire a writer, schedule your posts, etc. in order for you to update your blog always. Decrease in visitors and crawl rate. Since you don’t have something to offer for your readers, they will not have reasons to visit your site as well. Failure to update your blog will make it hard for it to attract visitors. Your index in search engines is low also due to the fact that there is nothing for the search engine to crawl from your blog. Failure to crawl your site would decrease its capacity to become popular with search engines. Decrease in earnings. Of course, what will you expect from a blog that does not update? Whatever your way of earning money online with your blog, it has the capacity to decrease in earnings due to the fact that there will be a decrease in traffic. This is related to what is written above. Few readers. As what I have said, your readers are looking forward to something new from your blog and they will not read a post over and over again. Your site has no influence on the readers online if there is no content. If you have few or no readers, what’s the point of blogging? Blog potential decreases. If you are aiming something for your blog, you must invest in content first rather than on other things. If you have good contents, you have nothing to worry about and to prove for because no matter what happens, you will always have the kind of favor from search engines and readers. Take a look at page rank, alexa rank, etc. These are things that are gained by blogs that are updated always. 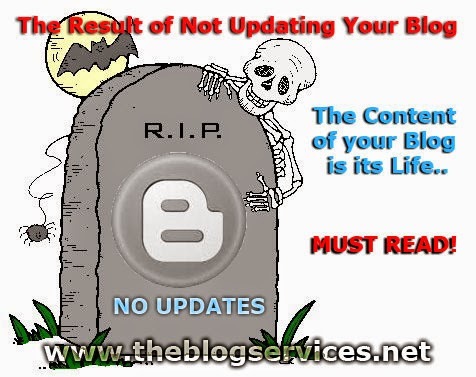 You will soon see the bad effects of not updating your blog once you will not put your heart on it. And as a result, on the other hand, if you are going to put your heart on your blog by constantly updating it, it is like upgrading it for higher purposes. You have to remember that your blog can make you rich if you are just aware and concerned about what it can become. Update your blog and avoid facing the consequences. Be consistent in your plans of updating. If you haven’t done this for a long time, I am sure your readers are looking for you now. Go and update!